For me, it was an unpleasant shopping experience. I chose Golden Blonde but received Light Brown. However, I didn’t exchange it because it took me a long time to negotiate with the customer service before they approved my exchange and I had to pay for the postage by myself. Although my friends said that this color also looked well on me, I still though it was a little weird. I didn’t wear this clip in hair extensions often. Even though, the hair started to shed one month later since I received it. I bought it because I was attracted by its policy ” 50% off 2nd set “. Now I regret already. I will never buy any extensions because of its low price as I don’t want any chance to make me unhappy. Because of my long face shape, I always had an urge to keep hairstyles with fringes. However, my thinning hair from time to time disappointed me with limp bangs. I used to buying all kinds of fringes. Some were cheap and some were expensive. It all depended on my budget limit at the moment I bought them. 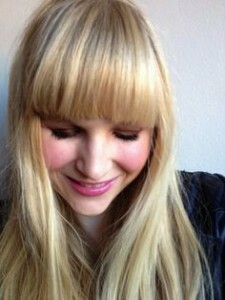 I satisfied with this clip in fringe in platinum blonde. It was 15 cm, a perfect length that I wanted which can reshape my long face and better highlight my facial features. The clips were designed well, enabling themselves to secure well into my hair. The fringe was thick enough, coordinating with my natural hair. Most important, it was only $24.99, beyond my budget limit. For what I like this unit of clip in hair extensions? The color combo of jet black and medium dark brown is my favourite, which is the first reason that I opted for these extensions. As I received my VPFASHION ombre hair, I felt happy that its color was just as same as the description in the picture. It was soft and and silky, just like my own hair. Besides, it matched my hair perfectly. Every time I wore it, I got compliment. That’s why I wore it often. But one disadvantage of these extensions was that I have to attach clips to them because there was no clips on them. I have to admit that I am a big fan of blonde hair because I always had my hair dyed to be blonde and bought various of hair extensions and wigs in blonde. 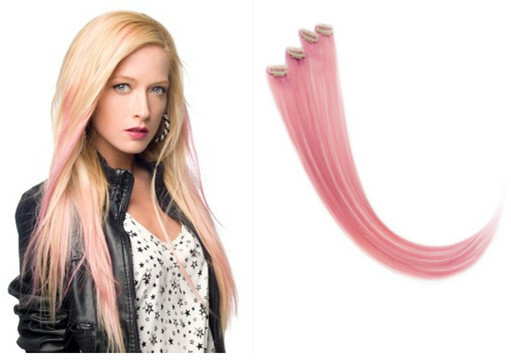 These clip in hair extensions satisfied me a lot with its latte blonde and soft texture. To make it look extremely natural, I went to a beauty to have it applied to my exsiting hair. My stylist wonder how I can afford this unit of extensions because he thought that it worthed at least Rand4000. He seemed to be so surprised to hear that its price was Rand 1099. His facial expression made me happy and could not like these extensions more. With the handy craft of the stylist, it looked natural and gorgeous. Of course, its quality explained a big part of the reason. I bought this clip in hair extensions for short term use. So whether they will last for a long time or not have no business to do me. I put on it several times and now they all keep in good shapes. The total weight of it is 90 grams, appropriately adding volume to my natural hair. With soft, silky touch and shiny looking, I thought that this set of clip in hair extensions meet my requirement. 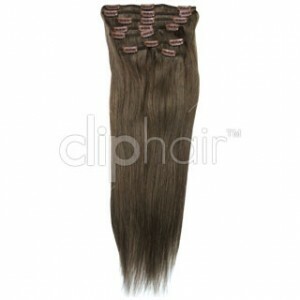 Anyway, I can not demand much because it is a set of clip in hair extensions whose price was only $59.99. Actually I am not the buyer of this wig. The reason I post it here is that I don’t think the wigs on that on-line shop is credible. I have nothing to say about the product because I am not sure what exactly it is. The design of the site is too simple. Only a few pictures of its products. No contact information, no exchange & return information, no shipping information. How can we ensure whether this shop exists or not? What if we pay but recieve no product? How can we get our money back? I clicked in the link of its facebook. Some posts are weird pictures which scared me a lot. I have no idea why a facebook featuring in product/service designs like that. Do yo convet this hairstyle that Gwem Strefani is wearing? Have you thought about owning this kind of hairstyle? With the aid of one to two set of Valnilla Blonde clip in hair exensions, it is highly possible that you make it come true. The hair extensions are made of 100% Remy human hair which is the highest quality of hair available on the market of hair extensions. This hair is specially processed to adapt to all your needs: long lasting, tangle free, silky smooth and shiny Glam Time extensions can be cut, colored and washed. You can style them with hair tools such as a curling iron or flat iron. To solve your question about how to apply these extensions, many vedio hair tutorials are available on the website. If you want to be special in this hot summer, this Clip-In Accents are exactly what you are looking for. They are made from premium human hair rather than synthetic, enable you to wash, curl, straighten or even blow -dry them. Thanks to this kind of clip in hair extensions, you do not need to give your hair a permanent hair dye if you only want to show off for a short time. Get rid of hair damage caused by hair dye is so easy by using Clip-In Accents in cool colour. 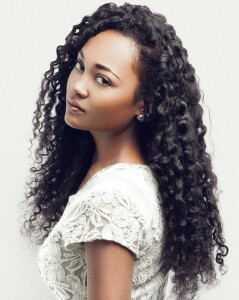 Do you still wonder whether these extensions can blend seamlessly with your natural hair or not? Actually, they are made from high quality remy human, making them blend together and wave just like your own hair. I have bought several sets of extensions in the last two years, from micro loop extensions, tape in extensions to clip in extensions. 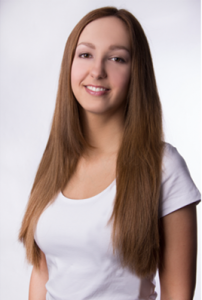 Comparing with the other two types, I thought that clip in extensions suited me best with its versatility and easy processing. I just stumbled upon this site two months ago and was attracted by its reviews and facebook which convinced me of its credibility. The extensions I bought didn’t disappoint me. Shiny and silky hair, high quality silicone clips, fast shipping, acceptable price, all factors satisfied me a lot. It is such a set of high quality and gorgeous extensions. The only one question is concerning its durability. It is said that it is made from 100% remy human hair. If so, it will last for at least half a year. I do hope that the shop owner doesn’t lie to me. I just got this Black Mermaid Spirals and have worn it out for two days. They were soft and silky to touch and appeared to be shiny. After I applied them to my natural hair, they blended well with my 4c twist out, looking natural and no one noticed that I wore clip in hair extensions. Unlike some other clips, these clips were in good designed, making me feel nothing of uneasiness. For me, two sets of these extensions were too much but one was not enough. So I bought two sets but not applied them all. Another thing was that one of the clips was broken. Fortunately there were spare wefts. The shipping was fast that I received it 3 days after my placing the order.